The Committee for Skeptical Inquiry (CSI), formerly known as the Committee for the Scientific Investigation of Claims of the Paranormal (CSICOP), is a program within the transnational American non-profit educational organization Center for Inquiry (CFI), which seeks to "promote scientific inquiry, critical investigation, and the use of reason in examining controversial and extraordinary claims." It was founded by Paul Kurtz in 1976 as an independent non-profit organization (before merging with CFI as one of its programs in 2015), to counter what he regarded as an uncritical acceptance of, and support for, paranormal claims by both the media and society in general. Its philosophical position is one of scientific skepticism. CSI's fellows have included notable scientists, Nobel laureates, philosophers, psychologists, educators and authors. It is headquartered in Amherst, New York. In the early 1970s, there was an upsurge of interest in the paranormal in the United States. This generated concern in some quarters, where it was seen as part of a growing tide of irrationalism. In 1975, secular humanist philosopher and professor Paul Kurtz had previously initiated a statement, "Objections to Astrology," which was co-written with Bart Bok and Lawrence E. Jerome, and endorsed by 186 scientists including 19 Nobel laureates and published in the American Humanist Association (AHA)'s newsletter The Humanist, of which Kurtz was then editor. According to Kurtz, the statement was sent to every newspaper in the United States and Canada. The positive reaction to this statement encouraged Kurtz to invite "as many skeptical researchers as [he] could locate" to the 1976 conference with the aim of establishing a new organization dedicated to examining critically a wide range of paranormal claims. Among those invited were Martin Gardner, Ray Hyman, James Randi, and Marcello Truzzi, all members of the Resources for the Scientific Evaluation of the Paranormal (RSEP), a fledgling group with objectives similar to those CSI would subsequently adopt. RSEP disbanded and its members, along with others such as Carl Sagan, Isaac Asimov, B.F. Skinner, and Philip J. Klass joined Kurtz, Randi, Gardner and Hyman to form the Committee for Scientific Investigation of Claims of the Paranormal, (CSICOP). Kurtz, Randi, Gardner and Hyman took seats on the executive board. CSICOP was officially launched at a specially convened conference of the AHA on April 30 and May 1, 1976. CSICOP would be funded with donations and sales of their magazine, Skeptical Inquirer. "The Committee for Skeptical Inquiry promotes science and scientific inquiry, critical thinking, science education, and the use of reason in examining important issues. It encourages the critical investigation of controversial or extraordinary claims from a responsible, scientific point of view and disseminates factual information about the results of such inquiries to the scientific community, the media, and the public." A shorter version of the mission statement appears in every issue: “... promotes scientific inquiry, critical investigation, and the use of reason in examining controversial and extraordinary claims.” A previous mission statement referred to “investigation of paranormal and fringe-science claims,” but the 2006 change recognized and ratified a wider purview for SI that includes new science-related issues at the intersection of science and the public while not ignoring core topics. A history of the first two decades is available in The Encyclopedia of the Paranormal published in 1998 by S.I. editor Kendrick Frazier. Paul Kurtz was inspired by the 1949 Belgian organization Comité Para, whose full name was Comité Belge pour l'Investigation Scientifique des Phénomènes Réputés Paranormaux ("Belgian Committee for Scientific Investigation of Purported Paranormal Phenomena"). In 1976, the proposed name was "Committee for the Scientific Investigation of Claims of the Paranormal and Other Phenomena" which was shortened to "Committee for the Scientific Investigation of Claims of the Paranormal." The initial acronym, "CSICP" was difficult to pronounce and so was changed to "CSICOP." According to James Alcock, it was never intended to be "Psi Cop", a nickname that some of the group's detractors adopted. in November 2006, CSICOP further shortened its name to "Committee for Skeptical Inquiry" (CSI), pronounced C-S-I. The reasons for the change were to create a name that was shorter, more "media-friendly", to remove "paranormal" from the name, and to reflect more accurately the actual scope of the organization with its broader focus on critical thinking, science, and rationality in general, and because "it includes the root words of our magazine's title, the Skeptical Inquirer". According to CSI's charter, the Committee" maintains a network of people interested in critically examining paranormal, fringe science, and other claims, and in contributing to consumer education; prepares bibliographies of published materials that carefully examine such claims;encourages research by objective and impartial inquiry in areas where it is needed; convenes conferences and meetings; publishes articles that examine claims of the paranormal; does not reject claims on a priori grounds, antecedent to inquiry, but examines them objectively and carefully". According to CSI member Martin Gardner, CSI regularly puts into practice H. L. Mencken's maxim "one horse-laugh is worth a thousand syllogisms." Logo of the Skeptical Inquirer. CSI publishes the magazine Skeptical Inquirer, which was founded by Marcello Truzzi, under the name The Zetetic and retitled after a few months under the editorship of Kendrick Frazier, former editor of Science News. Cecil Adams of The Straight Dope calls Skeptical Inquirer "one of the nation's leading antifruitcake journals". In addition, it publishes Skeptical Briefs, a quarterly newsletter published for associate members. CSI conducts and publishes investigations into Bigfoot and UFO sightings, psychics, astrologers, alternative medicine, religious cults, and paranormal or pseudoscientific claims. Barbara Forrest participating in the "Creation and Evolution" panel at CSICon 2011 in New Orleans. Bill Nye speaking about science education at CSICon 2013 in Tacoma, Washington. 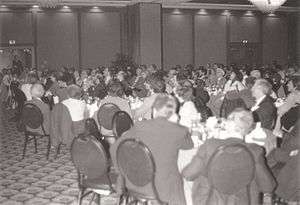 CSICOP has held dozens of conferences between 1983 and 2005, two of them in Europe, and all six World Skeptics Congresses so far were sponsored by it. Since 2011, the conference is known as CSICon. 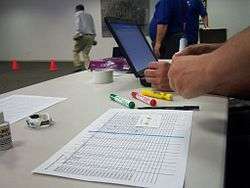 Two conventions have been held in conjunction with its sister and parent organizations, CSH and CFI, in 2013 and 2015. The conferences bring together some of the most prominent figures in scientific research, science communication and skeptical activism, to exchange information on all topics of common concern and to strengthen the movement and community of skeptics. CSI has also supported local grassroot efforts, such as SkeptiCamp community-organized conferences. "CSICOP originated in the spring of 1976 to fight mass-media exploitation of supposedly "occult" and "paranormal" phenomena. The strategy was twofold: First, to strengthen the hand of skeptics in the media by providing information that "debunked" paranormal wonders. Second, to serve as a "media-watchdog" group which would direct public and media attention to egregious media exploitation of the supposed paranormal wonders. An underlying principle of action was to use the mainline media's thirst for public-attracting controversies to keep our activities in the media, hence public eye". Involvement with mass media continues to the present day with, for example, CSI founding the Council for Media Integrity in 1996, and co-producing a TV documentary series Critical Eye hosted by William B. Davis. CSI members can be seen regularly in the mainstream media offering their perspective on a variety of paranormal claims. In 1999 Joe Nickell was appointed special consultant on a number of investigative documentaries for the BBC. As a media-watchdog, CSI has "mobilized thousands of scientists, academics and responsible communicators" to criticize what it regards as "media's most blatant excesses." Criticism has focused on factual TV programming or newspaper articles offering support for paranormal claims, and programs such as The X-Files and Buffy the Vampire Slayer, which its members believe portray skeptics and science in a bad light and help to promote belief in the paranormal. CSI's website currently lists the email addresses of over ninety U.S. media organizations and encourages visitors to "directly influence" the media by contacting "the networks, the TV shows and the editors responsible for the way [they portray] the world." CSI was quoted to consider pseudoscience topics to include yogic flying, therapeutic touch, astrology, fire walking, voodoo, magical thinking, Uri Geller, alternative medicine, channeling, psychic hotlines and detectives, near-death experiences, unidentified flying objects (UFOs), the Bermuda Triangle, homeopathy, faith healing, and reincarnation. CSI changes its focus with the changing popularity and prominence of what it considers to be pseudoscientific and paranormal belief. For example, as promoters of intelligent design increased their efforts to include it in school curricula in recent years, CSI stepped up its attention to the subject, creating an "Intelligent Design Watch" website publishing numerous articles on evolution and intelligent design in Skeptical Inquirer and on the Internet. CSI is concerned with paranormal or pseudoscientific claims that may endanger people's health or safety, such as the use of alternative medicine in place of science-based healthcare. Investigations by CSI and others, including consumer watchdog groups, law enforcement and government regulatory agencies, have shown that the sale of alternative medicines, paranormal paraphernalia, or pseudoscience-based products can be enormously profitable. CSI says this profitability has provided various pro-paranormal groups large resources for advertising, lobbying efforts, and other forms of advocacy, to the detriment of public health and safety. the Center for Inquiry is the transnational non-profit umbrella organization comprising CSI, the Council for Secular Humanism, the Center for Inquiry - On Campus national youth group and the Commission for Scientific Medicine and Mental Health. These organizations share headquarters and some staff, and each have their own list of fellows and their distinct mandates. CSI generally addresses questions of religion only in cases in which testable scientific assertions have been made (such as weeping statues or faith healing). The Center for Inquiry West, located in Hollywood, California Executive Director Jim Underdown founded the Independent Investigations Group (IIG), a volunteer-based organization in January 2000. The IIG investigates fringe science, paranormal and extraordinary claims from a rational, scientific viewpoint and disseminates factual information about such inquiries to the public. IIG has offered a $50,000 prize "to anyone who can show, under proper observing conditions, evidence of any paranormal, supernatural, or occult power or event", to which 7 people applied from 2009-2012. "The In Praise of Reason Award is given in recognition of distinguished contributions in the use of critical inquiry, scientific evidence, and reason in evaluating claims to knowledge." 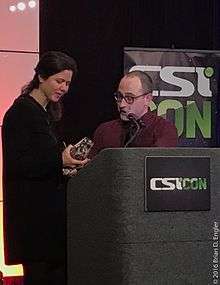 This is the highest award presented by CSI and is often presented at the CSIcon conferences. 1982 Martin Gardner Awarded in Atlanta, GA "'In honor of his heroic efforts in defense of reason and the dignity of the skeptical attitude.'" 1984 Sidney Hook Presented at Stanford University, Palo Alto, CA by CSICOP Chairman Paul Kurtz. 1985 Antony Flew Awarded in London by Paul Kurtz, "'[I]n recognition of his long-standing contributions to the use of methods of critical inquiry, scientific evidence, and reason in evaluating claims to knowledge and solving social problems." 1986 Stephen Jay Gould Presented at the University of Colorado, Boulder "'In recognition of his long-standing contributions to the use of the methods of critical inquiry, scientific evidence, and reason in evaluating claims to knowledge and solving social problems'". 1990 Gerard Piel Awarded at the Washington D. C. conference March 30-April 1st. 1994 Elizabeth Loftus Awarded at the CSI Seattle Conference June 23-26 "For her research in memory and eyewitness testimony." 2000 Lin Zixin Lin Zixin was awarded in absentia. 2001 Kendrick Frazier Awarded at the first Center for Inquiry International Conference in Atlanta, Georgia. Fraizer "spoke of his feelings... 'I am more a toiler in the editorial fields than an inhabitant of the lofty spires of academia, so that makes me all the more appreciative". 2003 Ray Hyman Presented at the Albuquerque conference by friend James Alcock. "Ray Hyman, from whom I-and I am sure all of us-continue to learn so much." 2004 James Alcock Presented at the Center for Inquiry - Transnational Conference in Toronto, Canada. Vern Bullough presented Alcock with the award. Alcock stated that many scientists do not care about pseudoscience as they don't see it as a threat on science, but he reminds the audience that "fundamentalist religious viewpoints" and "alternative medicine" are "very real threats". 2011 Bill Nye Presented at CSIcon New Orleans conference. Eugenie Scott stated "If you think Bill is popular among skeptics, you should attend a science teacher conference where he is speaking" it is standing room only. She continues by saying that no one has more fun as Nye when he is "demonstrating, principles of science." Founded at the 1996 World Skeptics Congress in Buffalo, NY, the Council for Media Integrity gives these awards that were named in inspiration by Carl Sagan's book, The Demon-Haunted World: Science as a Candle in the Dark. The Council is made up of by scientists, media and academics, all concerned with the "balanced portrayal of science". The Candle in the Dark Award is presented to those who show "outstanding contributions to the public's understanding of science and scientific principles" and to "reward sound science television programming". The Snuffed Candle Award is awarded to those "for encouraging credulity, presenting pseudoscience as genuine, and contributing to the public's lack of understand of the methods of scientific inquiry." The Council urges TV "producers to label documentary-type shows depicting the paranormal as either entertainment or fiction". The council also provides the media with contact information of experts that would be willing and able to answer questions and be interviewed for paranormal topics. 1997 Bill Nye and Dan Aykroyd Nye received the Candle in the Dark Award for his "lively, creative... endeavor". Aykroyd "was presented in absentia the Snuffed Candle Award for hosting Psi Factor and being a "long-time promoter ... of paranormal claims" Following the awards, Joe Nickell wrote to Aykroyd asking for the research behind the "cases" presented on Psi Factor. Particularly a claim that NASA scientists were "killed while investigating a meteor crash and giant eggs were found and incubated, yielding a flea the size of a hog". 1998 Scientific American Frontiers and Art Bell Hosted by Alan Alda SAF's episode "Beyond Science" was singled out by the Council for Media Integrity for its examination of the paranormal. Art Bell was recognized by the Council for "perpetuating conspiracy myths... and mystery mongering". When Bell learned of the award he replied "A mind should not be so open that the brains fall out, however it should not be so closed that whatever gray matter which does reside may not be reached. On behalf of those with the smallest remaining open aperture, I accept with honor." 2003 Edgar Sanchez reporter for the Sacramento Bee and Larry King Awarded at the Albuquerque, New Mexico Conference. Sanchez received the Candle in the Dark award for his column "Scam Alert" where he has written about Nigerian scams, car-mileage fraud and phony police detectives. King received the Snuffed Candle award for '"encouraging credulity, presenting pseudoscience as genuine'". CSI awards the Robert P. Balles Annual Prize in Critical Thinking annually. The $2,500 award is given to the "creator of the published work that best exemplifies healthy skepticism, logical analysis, or empirical science" Robert P. Balles established this permanent endowment fund through a Memorial Fund. Center for Inquiry's "established criteria for the prize include use of the most parsimonious theory to fit data or to explain apparently preternatural phenomena." 2005 Andrew Skolnick, Ray Hyman and Joe Nickell The Girl with X-ray Eyes Shared the first award for their 2005 reports on CSICOP's testing of Natasha Demkina, a girl who claimed to have X-ray eyes. 2006 Ben Goldacre For his column in The Guardian U.K. newspaper, Bad Science Columns include "Dyslexia 'cure' fails to pass the tests", "Bring me a God helmet, and bring it now", "Kick the habit with wacky wave energy", "Brain Gym exercises do pupils no favors" and "Magnetic attraction? Shhhh. It's a secret"
2007 Natalie Angier The Canon: A Whirligig Tour of the Beautiful Basics of Science "[S}he thoughtfully explores what it means to think scientifically and the benefits of extending the scientific ethos to all areas of human life." 2010 Steven Novella Body of work including the The Skeptics' Guide to the Universe podcast, Science-Based Medicine, Neurologica, Skepticial Inquirer column The Science of Medicine and the "tireless travel and lecture schedule on behalf of skepticism" '“The truly most amazing thing is he does this all on a volunteer basis.”' According to Barry Karr "'You may be the hardest worker in all of skepticism'"
2011 Richard Wiseman Paranormality: Why We See What Isn’t There "Wiseman is not simply interested in looking at a claim... He is interested in showing us how easy it is for us to be deceived and how easily we can be fooled and fool others." 2012 Steven Salzberg and Joe Nickell Salzberg's column for Forbes magazine, Fighting Pseudoscience and Nickell's book The Science of Ghosts - Searching for Spirits of the Dead "Salzberg regularly shines the light of reason on the false or dubious claims ... with a clear and accessible voice, and with a healthy dose of humor." And "Accessibility and humor, along with unmatched rigor and curiosity, are what famed Joe Nickell, ... has been bringing to his work for decades." 2013 Paul Offit Do You Believe in Magic? The Sense and Nonsense of Alternative Medicine "Offit is a literal lifesaver... educates the public about the dangers of alternative medicine, may save many, many more." 2014 Joseph Schwarcz and to the creators, producers, and writers of Cosmos: A Spacetime Odyssey Is That a Fact? and Cosmos: A Spacetime Odyssey "Cosmos: A Spacetime Odyssey opened the eyes of a new generation to humanity’s triumphs, its mistakes, and its astounding potential to reach unimagined heights.... Is That a Fact? unflinchingly takes on all manner of popular misinformation." 2015 Julia Belluz Vox.com "We need more people in the media doing what Julia Bellux does... "
CSICOP seeking to acknowledge and encourage "fair and balanced reporting of paranormal claims" established the Responsibility in Journalism Award in 1984. Frazier stated that "There are many responsible reporters who want to do a good job in covering these kinds of controversial, exotic topics." Beginning in 1991, CSI began awarding in two categories, "print" and "broadcast". 1984 Leon Jaroff and Davyd Yost Jaroff as managing editor of Discover magazine established the Skeptical Eye column. Yost of the Columbus, Ohio Citizen Journal specifically for a story about a poltergeist. Frazier said of Yost "In the mold of careful, responsible journalism... [he made] a special effort to get outside expert opinion". Philip Klass stated that Jaroff has "'political courage'" for his column that offers "useful perspectives... of claims of the paranormal". 1986 Boyce Rensberger and Ward Lucas Rensberger, science reporter for Washington Post and Ward "anchor and investigative reporter KUSA-TV Channel 9 Denver" Presented at the University of Colorado, Boulder, "'In recognition of contributions to fair and balanced reporting of paranormal claims'". 1987 Lee Dembart, Ed Busch, and Michael Willesee Dembart from Los Angeles Times, Willesee, Australian journalist and Busch, Texas radio talk-show host Presented at Pasadena CSICOP award banquet. 1988 C. Eugene Emery, Jr. and Milton Rosenberg Emery is a science and medical reporter for the Providence Journal and a contributor to SI. Rosenberg is the host of Extension 720 a program on WGN-Radio in Chicago Presented at the Chicago CSICOP conference Emery researched claims of faith-healer Ralph A. DiOrio and wrote about the results in his journal. 1990 Stephen Doig Science Editor for the Miami Herald Awarded at the Washington D. C. conference March 30-April 1st. 1996 Phillip Adams, Piero Angela and Pierre Berton Presented at the First World Congress in Buffalo, NY the 20th Anniversary of CSICOP. 1986 Paul MacCready AeroVironment Presented at the University of Colorado, Boulder "'In recognition of his innovative and creative contributions to technology and his outstanding defense of critical thinking'". 1987 Murray Gell-Mann Presented at Pasadena CSICOP award banquet. In recognition of distinguished contributions to the testing of scientific principles and to the public understanding of science. 1990 Richard Berendzen Presented at Pasadena CSICOP award banquet. 1996 Dean Edell Presented at the First World Congress in Buffalo, NY the 20th Anniversary of CSICOP. 2000 Richard Wiseman Presented at the Third World Congress held in Sydney, Australia. 1990 Henri Broch Awarded for "his pioneer work with Minitel and making scientific critiques of the paranormal available to a wider audience in France. Presented at the Brussels 1990 CSICOP conference. 1996 James Randi Presented at the First World Congress in Buffalo, NY the 20th Anniversary of CSICOP. 2000 Barry Williams, Joe Nickell Presented at the Third World Congress held in Sydney, Australia. Williams was recognized for his "yeoman service to organized skepticism". 2001 Harlan Ellison Presented at the Fourth World Skeptics Conference in Burbank, CA. Presented to founder and chairman of CSICOP, Paul Kurtz "'In recognition of your wisdom, courage, and foresight in establishing and leading the world's first public education organization devoted to distinguishing science from pseudoscience'". Award was given April 26, 1986 at the University of Colorado, Boulder. Awarded to author and entertainer Steve Allen at the First World Skeptic Congress held in Buffalo, NY 1996. Allen was recognized for his lifetime achievement "in cultivating the public appreciation of critical thinking and science. Established to acknowledge the contributions to humanity and science by Isaac Asimov. This award is given to those who has "shown outstanding commitment and ability in communicating the achievements, methods, and issues of science to the public". 1994 Carl Sagan Janet Asimov when informed that Carl Sagan would be the first recipient of the Isaac Asimov Award, "There is no one better qualified... than his good friend and colleague Carl Sagan. Isaac was particularly fond of Carl. He was also in awe of Carl's genius, and proud that he was so adept at communicating science to the public... thank you for remembering my beloved husband in this way." The inside back cover of each issue of the Skeptical Inquirer lists the CSI consultants. CSI's activities have garnered criticism from individuals or groups which have been the focus of the organization's attention. 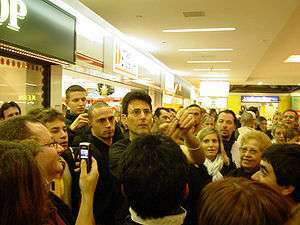 TV celebrity and claimed psychic Uri Geller, for example, was until recently in open dispute with the organization, filing a number of unsuccessful lawsuits against them. Some criticism has also come from within the scientific community and at times from within CSI itself. Marcello Truzzi, one of CSICOP's co-founders, left the organization after only a short time, arguing that many of those involved "tend to block honest inquiry, in my opinion. Most of them are not agnostic toward claims of the paranormal; they are out to knock them. [...] When an experiment of the paranormal meets their requirements, then they move the goal posts." Truzzi coined the term pseudoskeptic to describe critics in whom he detected such an attitude. An early controversy concerned the so-called Mars effect: French statistician Michel Gauquelin's claim that champion athletes are more likely to be born when the planet Mars is in certain positions in the sky. In late 1975, prior to the formal launch of CSICOP, astronomer Dennis Rawlins, along with Paul Kurtz, George Abell and Marvin Zelen (all subsequent members of CSICOP) began investigating the claim. Rawlins, a founding member of CSICOP at its launch in May 1976, resigned in early 1980 claiming that other CSICOP researchers had used incorrect statistics, faulty science, and outright falsification in an attempt to debunk Gauquelin's claims. In an article for the pro-paranormal magazine Fate, he wrote: "I am still skeptical of the occult beliefs CSICOP was created to debunk. But I have changed my mind about the integrity of some of those who make a career of opposing occultism." CSICOP's Philip J. Klass responded by circulating an article to CSICOP members critical of Rawlins' arguments and motives; Klass's unpublished response, refused publication by Fate, itself became the target for further criticism. In 1977, an FBI raid on the offices of the Church of Scientology uncovered a project to discredit CSICOP so that it and its publications would cease criticism of Dianetics and Scientology. This included forging a CIA memo and sending it to media sources, including The New York Times, to spread rumors that CSICOP was a front group for the CIA. A letter from CSICOP founder Paul Kurtz was forged to discredit him in the eyes of parapsychology researchers. In 2004, CSICOP was accused of scientific misconduct over its involvement in the Discovery Channel's test of the "girl with X-ray eyes," Natasha Demkina. In a self-published commentary, Nobel Prize-winning physicist Brian Josephson criticized the test and evaluation methods and argued that the results should have been deemed "inconclusive" rather than judged in the negative. Josephson, the director of the University of Cambridge's Mind–Matter Unification Project, questioned the researchers' motives saying, "On the face of it, it looks as if there was some kind of plot to discredit the teenage claimed psychic by setting up the conditions to make it likely that they could pass her off as a failure." Ray Hyman, one of the three researchers who designed and conducted the test, published a response to this and other criticisms,  CSI's Commission for Scientific Medicine and Mental Health also published a detailed response to these and other objections, saying that the choice of critical level was appropriate, because her claims were unlikely to be true: "I decided against setting the critical level at seven because this would require Natasha to be 100% accurate in our test. We wanted to give her some leeway. More important, setting the critical value at seven would make it difficult to detect a true effect. On the other hand, I did not want to set the critical value at four because this would be treating the hypothesis that she could see into people's bodies as if it were highly plausible. The compromise was to set the value at five." "Have I ever heard a skeptic wax superior and contemptuous? Certainly. I've even sometimes heard, to my retrospective dismay, that unpleasant tone in my own voice. There are human imperfections on both sides of this issue. Even when it's applied sensitively, scientific skepticism may come across as arrogant, dogmatic, heartless, and dismissive of the feelings and deeply held beliefs of others ... CSICOP is imperfect. In certain cases [criticism of CSICOP] is to some degree justified. But from my point of view CSICOP serves an important social function – as a well-known organization to which media can apply when they wish to hear the other side of the story, especially when some amazing claim of pseudoscience is judged newsworthy ... CSICOP represents a counterbalance, although not yet nearly a loud enough voice, to the pseudoscience gullibility that seems second nature to so much of the media". ↑ "About CSI". CSI website. CSI. Retrieved October 27, 2016. ↑ "A Unified Center for Inquiry, Stronger Than Ever". CenterForInquiry.net. Center for Inquiry. January 14, 2015. Retrieved October 27, 2016. 1 2 Kurtz, Paul (July 2001). "A Quarter Century of Skeptical Inquiry My Personal Involvement". Skeptical Inquirer. Archived from the original on March 5, 2008. Retrieved 2008-12-01. ↑ "CSICOP website". CSICOP. Retrieved 2006-10-31. 1 2 Higginbotham, Adam (November 7, 2014). "The Unbelievable Skepticism of the Amazing Randi". The New York Times. ↑ "About CSI". CSI. CFI. Retrieved 30 March 2016. ↑ Frazier, Kendrick. "It's CSI Now, Not CSICOP". CFI. Retrieved 28 March 2016. ↑ Frazier, Kendrick. "Committee for the Scientific Investigation of Claims of the Paranormal (CSICOP)". CSI. CFI. Retrieved 28 March 2016. ↑ "About CSI". Skeptical Inquirer. CSICOP. Retrieved 20 August 2016. ↑ Daniel Loxton (2013). "Why Is There a Skeptical Movement?" (PDF). The Skeptics Society. p. 3. Retrieved 1 September 2014. ↑ "CSICOP becomes CSI after thirty years". CSI. Archived August 15, 2009, at the Wayback Machine. ↑ Kendrick Frazier (4 December 2006). "It's CSI now, Not CSICOP". CSI website. CSI. Retrieved 1 September 2014. ↑ "Interview With Carl Sagan". NOVA Online. ↑ Marcello Truzzi (1978). "On the Extraordinary: An Attempt at Clarification" (PDF). Zetetic Scholar. 1 (1): 11. ↑ Marcello Truzzi. "On Some Unfair Practices towards Claims of the Paranormal". Skeptical Investigations. Archived from the original on 2007-04-28. Retrieved 2007-05-01. ↑ Quoted in Gardner, Martin (1981). Science: Good, Bad, and Bogus, Prometheus Books, ISBN 0-87975-144-4, pg. vii and xvi. ↑ "Are subliminal messages secretly embedded in advertisements?". The Straight Dope. 26 June 1987. Retrieved 2007-05-01. ↑ "Skeptical Briefs". Committee for Skeptical Inquiry. 2008. Retrieved 2008-09-01. ↑ "SkeptiCamp". n.d. Retrieved 2012-03-21. ↑ Nisbet, Lee (Nov–Dec 2001). "The Origins and Evolution of CSICOP; Science Is Too Important to Be Left to Scientists". Skeptical Inquirer. Retrieved 2006-06-22. ↑ National Science Foundation Science and Technology: Public Attitudes and Public Understanding. Science Fiction and Pseudoscience. Relationships Between Science and Pseudoscience. What Is Pseudoscience? ↑ "FDA Asks U.S. Marshals to Seize Dietary Supplements: Products Being Promoted With Drug Claims". U.S. Food and Drug Administration. September 6, 2006. Archived from the original on 2006-10-26. ↑ "IIG Challenge". Iigwest.org. Retrieved 2016-08-19. 1 2 "Bill Nye Wins In Praise of Reason Award". Skeptical Inquirer. CSICOP. Retrieved 19 August 2016. ↑ "CSICOP Council in Atlanta: Police Psychics, Local Groups". The Skeptical Inquirer. 7 (3): 13. 1983. 1 2 3 "Scientific Facts and Fictions: On the Trail Of Paranormal Beliefs at CSICOP '84". The Skeptical Inquirer. 9 (3): 197. 1985. ↑ "'In Praise of Reason' Award Goes to Antony Flew". The Skeptical Inquirer. 10 (2): 102, 104. 1985. 1 2 3 4 "CSICOP Awards". The Skeptical Inquirer. 11 (1): 14. 1986. 1 2 3 4 5 Shore, Lys Ann (1987). "Controversies in Science and Fringe Science: From Animals and SETI to Quackery and SHC". The Skeptical Inquirer. 12 (1): 12–13. 1 2 Shore, Lys Ann (1988). "New Light on the New Age CSICOP's Chicago conference was the first to critically evaluate the New Age movement.". The Skeptical Inquirer. 13 (3): 226–235. 1 2 Kurtz, Paul (1991). "Skepticism in Europe: Brussels Conference Tackles Diverse Issues". Skeptical Inquirer. 15 (2): 218. 1 2 Shore, Lys Ann (1990). "Skepticism in the Light of Scientific Literacy". Skeptical Inquirer. 15 (1): 8. 1 2 3 4 5 6 "CSICOP's 1991 Awards". Skeptical Inquirer. 16 (1): 16. 1991. 1 2 3 4 5 "CSICOP's 1992 Awards". Skeptical Inquirer. 17 (3): 236. 1993. 1 2 3 4 5 6 Karr, Barry (1994). "Five Honored with CSICOP Awards". Skeptical Inquirer. 18 (5): 461–462. ↑ Frazier, Kendrick (1995). "Editor's Note: Three Culture Clashes". Skeptical Inquirer. 19 (2): 2. ↑ Flynn, Tom. "World Skeptics Congress Draws Over 1200 Participants". Skeptical Inquirer. CSICOP. Retrieved 19 August 2016. 1 2 3 4 5 6 "CSICOP Award Winners". Skeptical Inquirer. 20 (5): 7. 1996. 1 2 3 Kurtz, Paul (2001). "Worlds Skeptics Congress". Skeptical Inquirer. 25 (2): 34. ↑ Radford, Ben (2002). "Science and Religion: The Conference". Skeptical Inquirer. 26 (2): 15. ↑ Alcock, James. "In Praise of Ray Hyman". Skeptical Inquirer. CSICOP. Retrieved 19 August 2016. ↑ Gaeddert, John (2004). "Science and Ethics Conference Brings Together Minds from Canada, Europe, and the U.S.". Skeptical Inquirer. 28 (5): 5–6. ↑ "Randi, Krauss, Kurtz Honored with Major Awards". Skeptical Inquirer. CSICOP. Retrieved 19 August 2016. 1 2 3 Nisbet, Matt (1999). "Candle in the Dark and Snuffed Candle Awards". Skeptical Inquirer. 23 (2): 6. 1 2 3 "Nye, Aykroyd Receive Council's First Awards". Skeptical Inquirer. 21 (3): 12. 1997. ↑ Frazier, Kendrick (2001). "Science Indicators 2000: Belief in the Paranormal or Pseudoscience". Skeptical Inquirer. 25 (1): 14. 1 2 Frazier, Kendrick (2004). "From Internet Scams to Urban Legends, Planet (hoa)X to the Bible Code: CSICOP Albuquerque Conference Has Fun Exposing Hoaxes, Myths and Manias". Skeptical Inquirere. 28 (2): 7. 1 2 Fidalgo, Paul (2016). "CSI's Balles Prize in Critical Thinking Awarded to Julia Belluz of Vox.com". Skeptical Inquirer. 40 (5): 6. 1 2 "CSI Awards Balles Prize". Skeptical Inquirer. CSICOP. Retrieved 19 August 2016. ↑ "CSICOP announces winners of the first Robert P. Ballez Prize". Skeptical Inquirer. 26 (3). 1 2 3 Fidalgo, Paul. "CSI Announces Paul Offit As Winner of the 2013 Balles Prize". Skeptical Inquirer. CSICOP. Retrieved 18 August 2016. ↑ "CSI's Robert P. Balles Award Goes to 'Guardian 'Bad Science' Columnist Ben Goldacre". Skeptical Inquirer. 31 (5): 13. 2007. ↑ Bupp, Nathan. "CSI's Robert P. Balles Award Goes to New York Times Science Writer Natalie Angier". Skeptical Inquirer. CSICOP. Retrieved 19 August 2016. ↑ Karr, Barry. "CSI's Balles Prize Goes to Physicist/Author Leonard Mlodinow". Skeptical Inquirer. CSICOP. Retrieved 18 August 2016. ↑ Lavarnway, Julia. 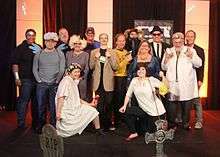 "CSICon New Orleans 2011 - Where Meeting Awesome Skeptics Is As Easy As Saying 'Hello'". Skeptical Inquirer. CSICOP. Retrieved 19 August 2016. ↑ Karr, Barry. "CSI's Balles Prize Goes to Richard Wiseman for Paranormality". Skeptical Inquirer. CSICOP. Retrieved 18 August 2016. ↑ "Skeptic Authors Steven Salzberg and Joe Nickell to Receive Balles Prize in Critical Thinking". Skeptical Inquirer. CSICOP. Retrieved 19 August 2016. ↑ "Cosmos, Joe Schwarcz Win Skeptics' Critical Thinking Prize". Skeptical Inquirer. CSICOP. Retrieved 18 August 2016. ↑ "Articles of Note". The Skeptical Inquirer. 13 (4): 425. 1988. ↑ Frazier, Kendrick (1998). "Science and Reason, Foibles and Fallacies, and Doomsdays". Skeptical Inquirer. 22 (6): 6. ↑ Frazier, Kendrick; Radford, Ben (2002). "Fourth World Skeptics Conference in Burbank a Lively Foment of Ideas". Skeptical Inquirer. 26 (5): 5. ↑ "The Committee for Skeptical Inquiry". Retrieved 2010-08-18. 1 2 3 4 5 6 7 8 9 10 11 12 13 14 Frazier, Ken (November 2015). "Ten Distinguished Scientists and Scholars Named Fellows of Committee for Skeptical Inquiry". Skeptical Inquirer. Committee for Skeptical Inquiry. 39 (6). Retrieved 16 October 2015. ↑ "The Campaign for Philosophical Freedom". www.cfpf.org.uk. Retrieved 13 August 2006. ↑ Truzzi, M (1996) from the Parapsychological Association newsletter "Archived copy". Archived from the original on 2008-06-02. Retrieved 2006-11-04. ↑ "Parapsychology, Anomalies, Science, Skepticism, and CSICOP". blavatskyarchives.com. ↑ "Marcello Truzzi, On Pseudo-Skepticism" Zetetic Scholar (1987) No. 12/13, 3-4. ↑ Klass, Philip J. (1981). "Crybaby". Retrieved 2010-12-03. ↑ Marshall, John (January 25, 1980). "Cult order sought to end scientists' criticism". Toronto Globe and Mail. ↑ Josephson, Brian. "Scientists' unethical use of media for propaganda purposes". tcm.phy.cam.ac.uk. Retrieved 2006-08-31. ↑ "Cause, Chance and Bayesian Statistics: A Briefing Document". abelard.org. Retrieved 2006-09-11. 1 2 Hyman, Ray. "Statistics and the Test of Natasha". csicop.org. CSICOP. Retrieved 2013-08-31. ↑ "Commission for Scientific Medicine and Mental Health". Archived from the original on 2010-09-25. ↑ "Answer to Critics". CSMMH. Archived from the original on 2005-02-04. Retrieved 2006-09-11. ↑ Sagan, Carl (1995). The Demon-Haunted World: Science as a Candle in the Dark. Random House. ISBN 0-394-53512-X. Paul Kurtz (editor) (2001). Skeptical Odysseys: Personal accounts by the world's leading paranormal inquirers. Prometheus Books. ISBN 1-57392-884-4. Randi, James (1995). An Encyclopedia of Claims, Frauds, and Hoaxes of the Occult and Supernatural. Prometheus Books. ISBN 0-312-13066-X. "About CSICon Conference". Committee for Skeptical Inquiry. Archived from the original on March 24, 2013. Retrieved March 22, 2013. Point Of Inquiry - Radio show and podcast for CSICOP's Center for Inquiry. True Disbelievers - Former CSICOP member Richard Kammann's account of the Mars effect controversy.